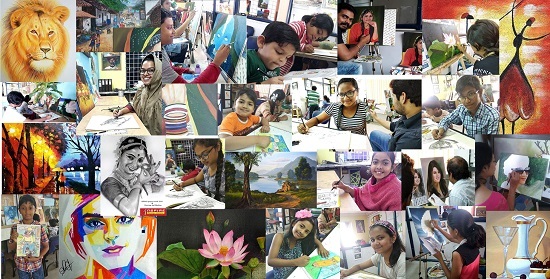 Inspire Painting Institute Institute offers SUMMER CAMPS for all, Oil Painting, Acrylic Painting, Water Color, Drawing, Fine Arts, Digital Matte Painting, NATA, NID, BArc, Entrance Exams, since 2008. 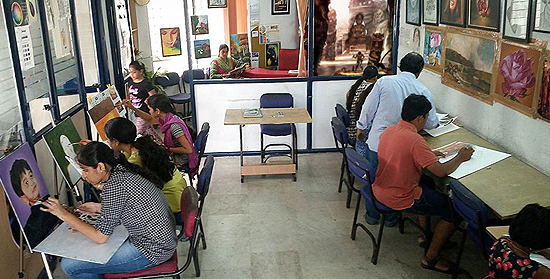 We are offering Drawing & Painting Courses. "course first time in Hyderabad using Pen Tablet. We offer various career oriented courses in the fields of Print Media,Web Designing,Editing,Matte Painting and Composting with high quality and excellence in teaching and research by highly trained and motivated staff. We offer services like,Conceptual drawings,Story boards for Ad films,Corporate Presentations,Audio-Video Editing,Web Designing.